2017 #GRIME COMPETITION WINNERS – Rap Video and Beat Tape. Hear Eyez free styling over the beats! ? Read more about 2017 #GRIME COMPETITION WINNERS – Rap Video and Beat Tape. 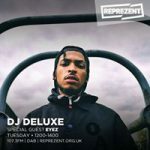 Hear Eyez free styling over the beats! ?